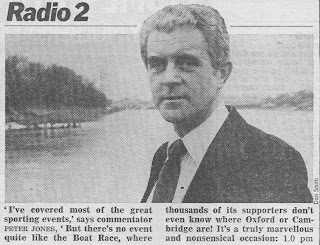 Peter Jones was an all-rounder, one of the rare breed of broadcasters that used to grace the BBC’s airwaves and could turn their hands to most events with aplomb. He was born and educated in Swansea and then went to Cambridge University before pursuing a teaching career. It was whilst at Bradfield College as French teacher and sports master that he encountered BBC football commentator Maurice Edelston, himself a former player for Fulham and Reading and now also coaching at the college. 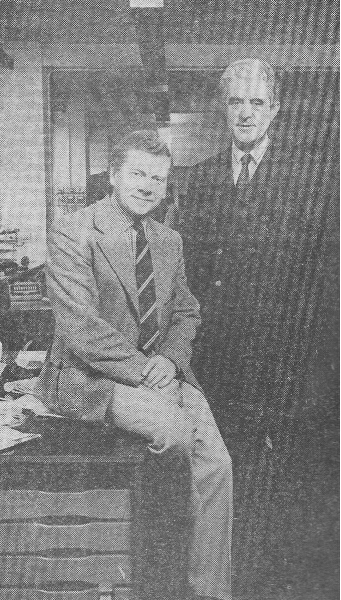 Through Edelston he was hired by Angus Mackay, the creator and editor of Sports Report, as a sports assistant, joining the BBC in October 1965. The first World Cup I covered, as a very new sports assistant, was back in 1966. Our senior commentators then were Brian Moore and Maurice Edelston. I was sent to the qualifying group in the north-east of England and my first seats in the house for the BBC were at St James’s Park, Roker Park and Ayresome Park. The group consisted of Italy, Chile, the Soviet Union and North Korea. Italy were the hottest of hot favourites and looked magnificent in training, but my biggest headache was collecting facts and figures about the totally unknown North Korean squad. Information was sparse and when the names did come up they were a nightmare. Not only did the players all look alike, but their names – tongue-twisters indeed – all sounded alike. Not that it would make much difference, for North Korea would surely be on the first plane home after the qualifying matches. They were up against the strongest opposition and the fruits of all m y industry in collecting a North Korean dossier were going to be short-lived. The rest is football history. North Korea played some dazzling, if at time naive, football and were through to the quarter-finals, and it was Italy who were on the first plane home. Suddenly I was one of the most popular men in the sports room. That preparation paid off as Peter Jones would now join the main football commentary team. He would go on to cover every World Cup between 1970 and 1986, the FA Cup from 1968 as well as countless European and club games. Many listeners during the 1970s will recall the Saturday afternoon live second-half commentaries shared between Jones and the BBC’s football correspondent Bryon Butler. (He’d first started regular Saturday commentaries in 1967 alongside Alan Clarke). He was soon entrusted with linking together the Saturday afternoon radio sports coverage on the Sports Service, carried on the Third Programme’s frequencies, initially in late 1967 and then as the main host from late 1969. 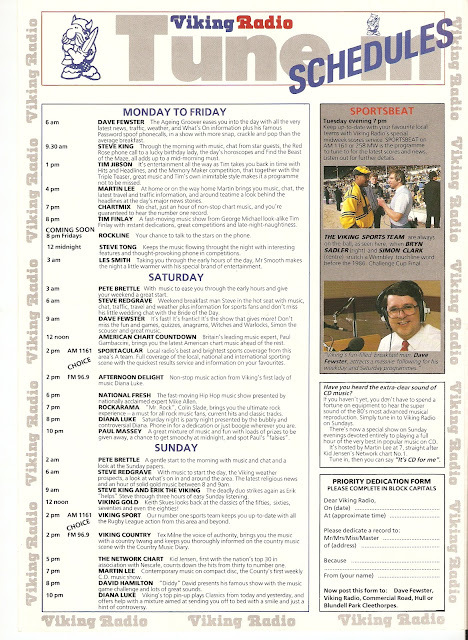 Jones presented the final Sports Service in March 1970 and the first ever Sport on 2 the following month following a shake-up of radio sporting coverage. He would remain a regular presenter throughout the next two decades alongside the likes of Des Lynam, Jim Rosenthal and Alan Parry. You can hear Peter Jones on Sport on 2 in this post. As well as his football work Jones would cover swimming, often alongside former Olympic swimmer Anita Lonsbrough, and tennis commentary were he would host the Wimbledon coverage on Radio 2. His first summer Olympics were the Munich Games in 1972 were “the black shadow of terrorism clouded the face of sport”. His first Commonwealth Games, the Edinburgh ones in 1970. 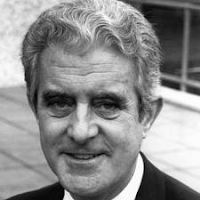 In addition, like other versatile OB commentators before him – Wynford Vaughan-Thomas, Brian Johnston and Robert Hudson to name three - he would cover special events such as the Royal Maundy service, the Festival of Remembrance, the Lord Mayor’s Banquet, the Opening of Parliament. There were also question master duties on Sporting Chance and Brain of Sport. Two of Peter’s best known commentaries are suffused with tragedy. He was present at both the Heysel and Hillsborough disasters. He died with the microphone in his hand and the words forming in his throat. He was standing on the Arethusa as the flotilla of launches and craft followed the Oxford and Cambridge eights under Hammersmith Bridge. Curiously, he did not collapse but simply went rigid. He did not respond to comments made to him over the headphones. A woman producer sitting behind him, one of two who have stepped down this year, tapped him on the back. Again he did not respond. Within a few minutes, one of the other commentators aboard – Robert Treharne-Jones, a qualified doctor – was giving him the kiss of life. The commentating for the last few minutes was handed over to Dan Topolski on the launch and Tony Adamson on land. When they finally got the 60-year-old commentator to the shore they had to wait “an age” recalls Watson, for an ambulance – it was also the day of the poll tax riots. But it was too late. The voice of radio sport for 25 years was silent. Following admission to hospital Peter died some 36 hours later. Reporting on Monday’s Sports Desk on Radio 2 was Jon Champion. There’s no doubt that Peter’s contribution to broadcasting will not be forgotten. Apparently extracts are played on a loop at the exhibits and memorabilia on display at the National Football Museum. Our story now moves to 1987, a year of change behind the scenes and on-air at Viking Radio. The ILR stations were gradually loosening their IBA shackles and the rules on ownership now allowed the merger of Radio Hallam and Pennine Radio and then Viking Radio to form the Yorkshire Radio Network. 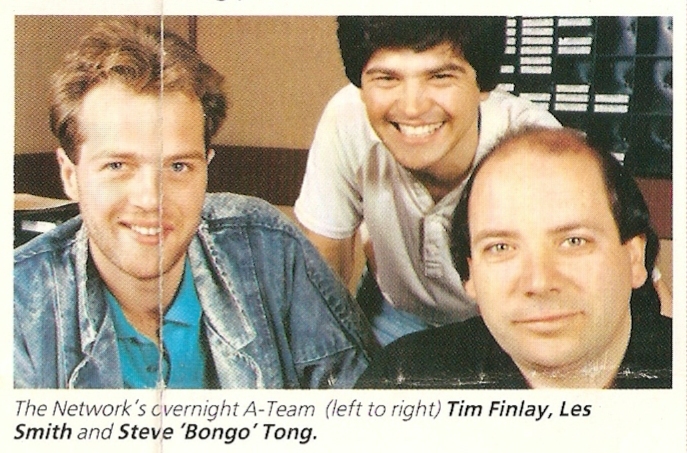 The first evidence of YRN on-air was on the evening of 19 May 1987 when Tim Finlay presented the launch show airing on all three stations. Along with Steve 'Bongo' Tong and Les Smith the joint shows filled the hours between 8 p.m. to 6 a.m. The other change in radio, both commercial and BBC, was the Government’s decision to take “a decisive step away from simulcasting” on FM and AM. Viking had already dipped its toe into the water with its Sunday afternoon music (FM) and rugby league (AM) split. 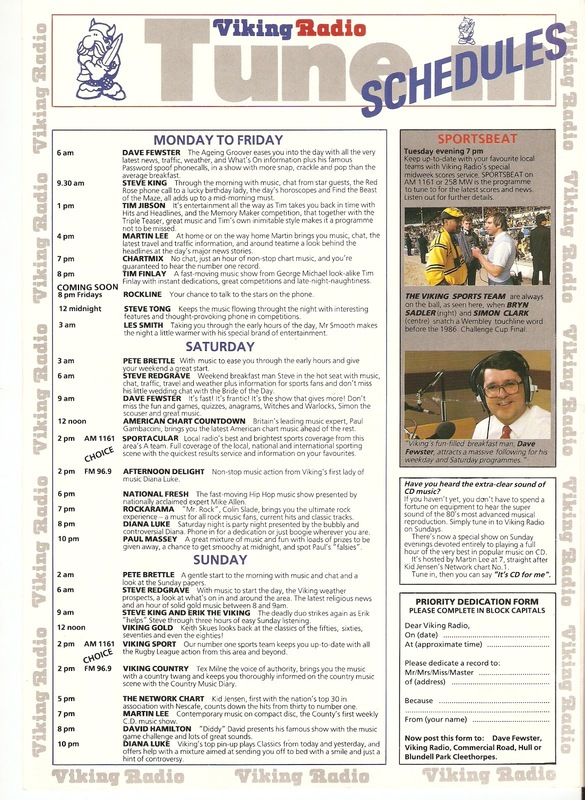 Here’s Viking’s schedule in 1987, by now we’d also got Saturday split programming with Sportacular (terrible title) versus Afternoon Delight with Diana Luke. 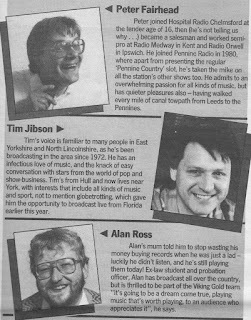 On air for the first full day (1 November) were Peter Fairhead, Alan Ross, Tim Jibson, Al Dupres and John Uphoff all making good use of those PAMS jingles re-sings. (Sorry, I've no recordings of Alan or Al). Peter Fairhead had joined the team from Pennine Radio and would go on to present on Classic Gold and Great Yorkshire Gold (more of which in future posts). You can hear Peter each week on WHCR in Hull and on UK Country Radio. Tim Jibson was already part of the Viking team and would also work on the later local Gold stations. Tim launched KCFM and now runs Adventures in Radio Ltd.
Alan Ross was Viking Gold’s Programme Controller and came from the Pennine side of the operation. He’d started at DevonAir before moving to CBC and Red Dragon Radio. Alan would also work on the subsequent Classic Gold service before a move back to Pennine (later The Pulse). From 1994 at Touch Radio and then Magic 1170 in Stockton where he stayed for over 14 years retiring from the Breakfast Show just last month as part of the increasing networking of Magic programming. John Uphoff was also from Pennine. By 1991 he’d moved to Jersey working on commercial radio and then for the BBC. Sadly John died in 2008 aged 46. 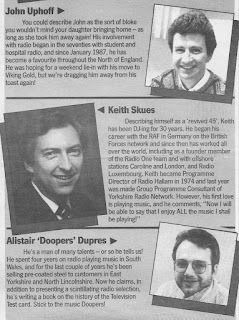 Keith Skues has, it seems, been DJ-ing for ever. When Viking Gold launched he was the Group Programme Consultant for YRN. Read more about Keith in my Hallam post. Al Dupres has long been involved in radio in the Hull area working on the later Gold incarnations, Magic, KCFM and WHCR. As well as doing voiceover work Al can currently be heard on Radio Caroline. Viking Gold’s life was short, by May the following year it became Classic Gold. More of that in a future post. 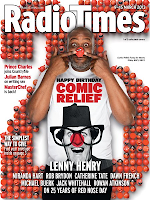 It’s time for Lenny Henry’s biennial Comic Relief appearance in a loud suit this coming Friday. But years before his Red Nose antics Lenny was a Radio 1 DJ. A guest performance on a 1981 Roadshow and a My Top Twelve appearance convinced network controller Johnny Beerling that Lenny was suitable for radio work. The following year he was given an Easter tryout and then summer cover work for Noel Edmond’s Sunday morning show – the Sunday Hoot was born. Mixing music and comedy, written by Lenny’s TV scriptwriters such as Kim Fuller and Bob Sinfield, the shows would introduce his audience to characters such as Joshua Yarlog (“Katanga”) and Delbert Wilkins (“Y’know what I mean?”) that would feature in later TV shows. Much of Lenny’s Radio 1 work was broadcast live and he learnt how to drive the desk. For a short spell in the early 80s (1982-85) he was seen as part of the regular DJ line-up complete with his own JAM-produced ident. Here he is having fun with those jingles in a trailer for his Sunday show. This is a complete one hour (recorded) Christmas special broadcast on 24 December 1983. Read more about Lenny’s Radio 1 career in Fun at One by Tim Worthington.